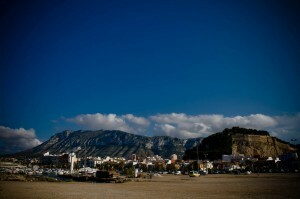 Sheltered by its bay and by the fortified hill of Mount Benacantil, which rises almost kissing the Mediterranean’s waters, Alicante grew up showing its face to the sea. 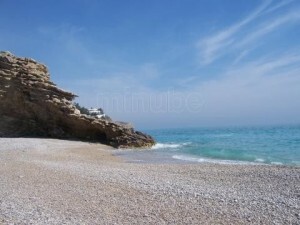 It is difficult to find a city, with the service of Alicante, offering such a wide and different internationally acknowledged top level and quality beach offer. This small cove of crystalline waters at the foot of a cliff, and exclusive access to walk confers a marked exclusive. This is a unique a place for lovers of diving, fishing and quietness, suitable for nudism. A little paradise in La Vila to enjoy sunbathing and sea. La Caleta is the perfect place to enjoy. This beach is 160 meters long and 30 meters wide. The composition of stones keeps this beach clean of seaweed. 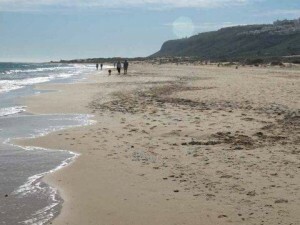 Services: accessible beach, footbaths, rental of umbrellas and sun beds, yachts rental, kiosks and cleaning services. It is easily accessible on foot and its proximity to a parking .It is located away from the urban area, which makes this beach an ideal spot to escape the bustle of the city. Gravel beach, has about 1 km in length and about 10 m. wide. 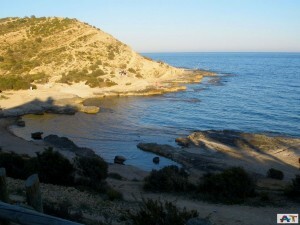 It is a semi-urban beach with calm waters, in summer you can rent small boats and catamarans and surfboards. 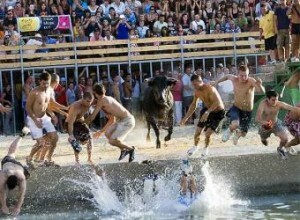 Mid-August is the meeting point for thousands of people who will enjoy El Castle de l’Olla , a show of fireworks and music held annually night closest to the feast of San Lorenzo Sabbath. Services: Boat hire, cleaning services, foot showers, toilets, rescue service. 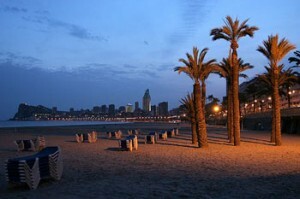 Its location in the centre of Benidorm makes this beach one of the most tumultuous and busy in the summer. It is well connected, plus easy parking nearby. Services: Car sunshades and hammocks, Kiosks, cleaning services, play areas, rescue and showers. 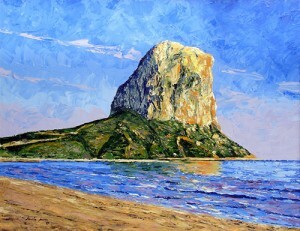 Calpe is famous for its history and culture. The Peñon of Ifach, clean and quiet beaches, beautiful coves, high cliffs, valleys and mountain that overlook the sea, a pleasant climate, warn and friendly treatment of its people… pure Mediterranean. 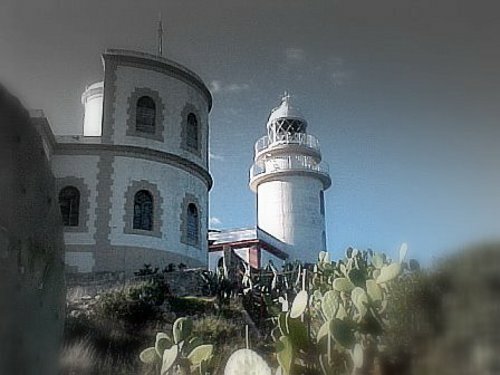 It is an open city to the tourism that blends with the fishing village, proud of its past. It’s smell of the sea, the soft sand of its beaches, the typical sailor streets, and the majestic. 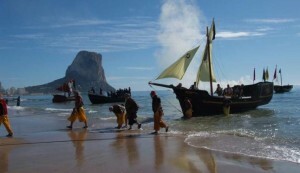 Calpe is an ancient fishing port full of culture and history. The Peñon de Ifach a huge rock that looks like Gibraltar is one of Calpe’s most famous landmarks. It is a nature reserve with a wide range of birds and plants. 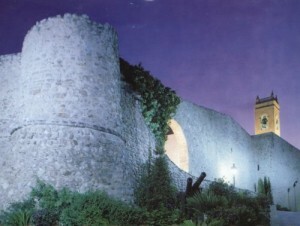 Museum of Archaeology is the place for exhibits of excavations from in and around Calpe. A colourful collection of elaborated fiesta costumes that was worn by the Moors and Christians chiefs and their ladies can be found in the Festival museum. The footprint of ancient civilization are present in the archaeological ruins of the Iberians, Los Baños de la Reina dating back to the Roman period, or the Vila Ifac founded in s.XIII. Today, Calpe maintains the Torreó de la Peça, the picturesque arable and the old church, which contrast with the cultural centre Jaume Pastor I Fluixá or the geometric building designed by architect Ricardo Bofill. 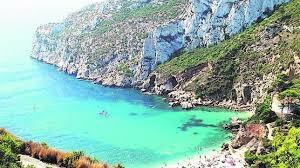 Calpe offers a wide variety of all types of accommodation for the traveller of today. All from apartment rentals to large modern hotels. The airport of El Altet (Alicante) and Manises (Valencia) located at 76 and 135km respectively from Calpe can connect with the main capitals through national and International flights. Road communications is the main AP-7 (exits 63 and 64) and the N-332. Also you can arrive by train from Alicante or Denia through the narrow railway and the regular bus service, with wide schedule, Calp links with the cities of Valencia, Alicante, Madrid and Barcelona. A mere half hour drive from Calpe towards the north lays the VergelSafari Park. There are many local fiestas held in Calpe throughout the year. Not to forget the German October fest. There a various big Spanish fiestas during the summer: San Juan the 24th of June. Virgen Del Carmen the 16th of July and many more. The streets become a riot of colour and the stage for a musical show of bands, processions, parades and fireworks. With excellent mild weather which averages 20ºC all year round, Dénia is famous for the beauty of its landscapes and natural environments, cuisine, festive holidays and outdoor sports activities. The walking tunnel under the impressive castle from the 16th century which dominates the town from a height of 58 meters. 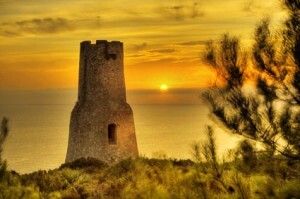 Visit the Tower of Gerro. A lookout post from the 17th century. Discover the traditional Neighbourhoods: the fishermen’s neighbourhood of “Baix la Mar”, the Historical City Centre and Les Roques district. The area north of the city called “Las Marinas” has over 14km of lovely sandy beaches. In the south “Las Rotas” area features a sandy followed by breath-taking rocky coves whose crystalline water has been declared a Marine Reserve. Mt.Montgó, which has been declared a NaturalPark, has an altitude of 753m and over 650 plants species. Its hiking routes invite you to explore its spectacular landscapes, caves and its peak. Dénia features up to four Yacht Dock facilities! The Local Marina, “El Portet” the Royal Yacht Club and the Marina of Dénia. Has a very important harbour with ferry terminal serving ferries to Ibiza, Menorca, Mallorca and Formentera. Has a very important harbour with ferry terminal serving to Ibiza, Menorca, Mallorca and Formentera. 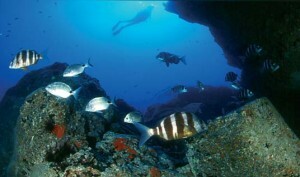 Explore the aquatic Marine Reserve of Cabo San Antonio, a protected zone with priceless ecological value. A special permit is required for scuba diving with oxygen thanks. Into the mountains you will be able to visit the Moorish fortress of Guadalest. Wonderful Arab architecture from the year of 715. Taste Dénia’s exquisite red shrimp, its seafood rice dish called “arroz a Banda” as well as a wide variety of garden vegetables, fresh fish and local seafood which provide delicious combinations. The Fallas Festival from 16th to 19th of Mach. Festa Major (1st fortnight of July). Parade floats, concerts and the famous “Bous a la Mar” a festival with national tourist interest. Moors and Cristians, from 14th to 16th of August. Sea landings, gala parades and fireworks. 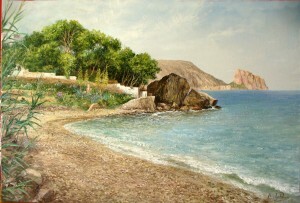 The Mediterranean Sea lends its name to a climate of long, hot summers and mild winters with moderate rainfall, and over 300 days of sunshine a year. Running the length of the Region’s 632 kilometres of coastline is a comprehensive infrastructure of sailing clubs, marinas and countless blue-flag beaches, as well as numerous sites of cultural interest beautiful locations. 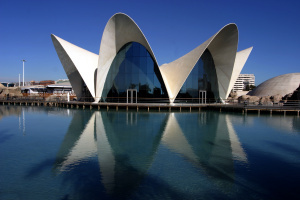 City of Arts and Sciences of Valencia is the biggest leisure/ culture complex in Europe. Situated next to the former bed of the River Turia, it has become an international landmark both for its architecture and its amazing capacity for amusing, teaching and exciting them, together with encouraging their participation. Digital projections: astronomy and entertainment shows. The Science Museum Principe Felipe is an interactive space in which science gets closer to the public in an accessible and participative way. At the Oceanographic you’ll venture into a magical nature environment from where to contemplate the amazing species of our seas and oceans. ¡A nd don’t miss the biggest Dolphinarium in Europe! The Bioparc is a zoo designed following the zooinmersion concept, with barriers invisible to the eye of the visitor. Bike rental. The ideal way to discover the city on your own !! unlike the electronic bike rental system found on the streets, you do not need to return the bike every 30 minutes and you do not need a credit card charge as a guarantee. Albufera Bus Touristic. The same way as in the Valencia Bus Touristic, visits, can be done individually or in a collective way by renting the Albufera Bus Touristic for private groups, such as congresses, conventions, incentives and others. The estimated length of the visit is two hours and a 30 minutes boat ride through the Albufera lagoon is included. 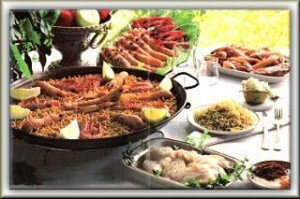 The Key to extraordinary gastronomic heritage of the Regions of Valencia is the rich Mediterranean cuisine. It is characterised for its exquisite and healthy recipes based on natural sea and garden products, but also for its diversity.